← first impressions of Cairo: the Himalayan proportions of it all…. 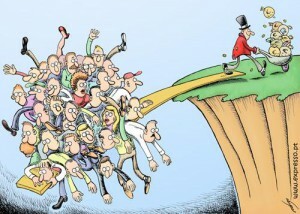 The top 100 billionaires added $240 billion to their wealth in 2012 – enough to end world poverty four times over. If you’re interested in how this was calculated, check out this blog post by the guy who did it. This entry was posted in society and tagged Duncan Green, Inequality, statistics. Bookmark the permalink.